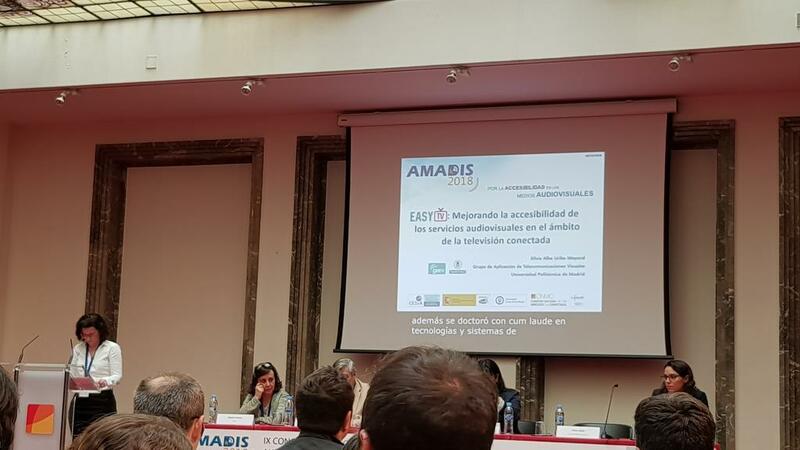 Summary of the participation: During the dates 8th-9th October 2018 the 9th edition of AMADIS Conference was held in Madrid organized by the Royal Board on Disability (Real Patronato sobre Discapacidad), Carlos III University of Madrid and the National Commission on Markets and Competition (CNMC: Comisión Nacional de los Mercados y la Competencia). The event took place at the Headquartes of CNMC in the Madrid street of Alcalá. The main theme of the Conference is the accessibility services in broadcasting and audiovisual media and the innovation in accessibility technologies applies to cultural, formative and accessible media environments for people with sensitive dissabilities. 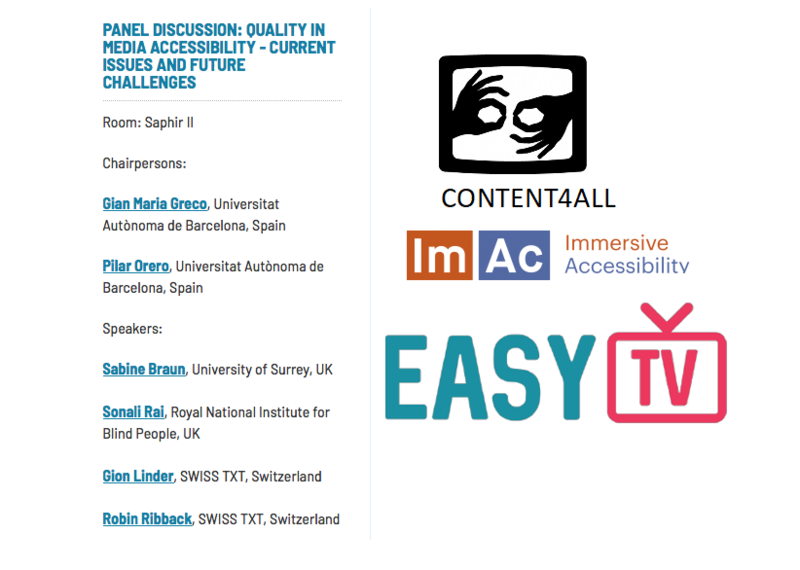 Within the programme of the Conference, the group GATV of the Universidad Politécnica de Madrid actively participated with the presentation of the advances in the H2020 European Project EasyTV: Easing the access of Europeans with disabilities to converging media and content, coordinated by the Spanish University. The presentation was the responsibility of the researcher Silvia Uribe where she highlighted the technologies and main innovations implemented in the context of the project, included the advances in the new standard for Connected TV HbbTV 2.0.1, which allows the interconnection and synchronization of broadcasted contents with second screen devices for the consumption of accessible contents to improve the Quality of Experience (QoE) of people with dissabilities. The lecture was transmitted by streaming through the internet, and simultaneously translated into sign language and subtitles. The review of trends in research and technological development in the context of audiovisual accessibility for people with dissabilities took place in the conference, with special attention to the tools and processes for quality assessment in the application of captioning, subtitling and audiodescription. Event: The EC has been increasingly funding media projects on accessiblity. In the H2020 Framework ICT19 Call from 2017 three projects were funded: ImAc, EasyTV, and Content4ALL, with an additional project funded last year MEMAD. The project UMAQ lead by Gian Maria Greco and Pilar Orero at Universitat Autònoma de Barcelona organised a round table with representatives from the H2020 accessibility funded projects and Gion Linder Head of the EBU Accessibility Expert Group. Place: The round table will take place in Berlin on Friday 5th October. A presentation was delivered in Terpsichore summer school including results from human motion analysis research carried out in the context of EasyTV. Title of presentation: " An introduction to human motion analysis: From capturing to recognition"
Presentation of a paper about a novel deep Learning approach for analyzing video and skeletal features in Sign Language Recognition. Twice a year there is a meeting of the ISO/IEC JTC 1/SC 35. This stands for Joint Technical Committee (JTC)1 dealing with Information technology, and its Subcommittee (SC) 35, User interfaces. This SC has the groups listed in the picture below where it is highlighted the Work Group (WG) 06 User interfaces accessibility. It is to this group where EasyTV was presented. 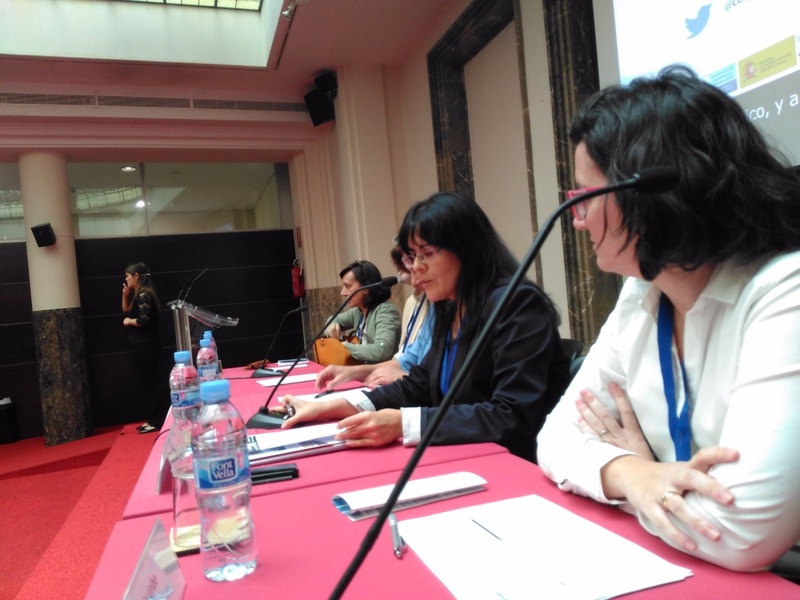 The project was presented by Pilar Orero (UAB), as members of the Spanish National Standardisation Agency UNE (www.une.org). 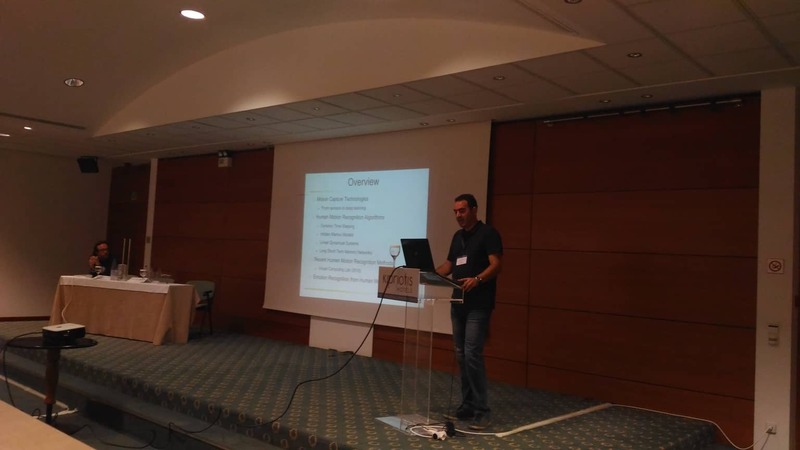 EasyTV was presented to the WG who is revising the ISO/IEC 24786 Ed.2 - Information technology — User interfaces — Accessible user interface for accessibility settings on information devices. Standards need to be updated from time to time, and this second edition cancels and replaces the first edition (ISO/IEC 24786:2009), which had been technically revised, and needs updating. The PPT presented can be found here.